We're incredibly excited here at Amsterdam Trance Records to bring you this next release as two stars of the Trance Community combine for something special. Polish producer, DJ and general Trance superstar Nitrous Oxide is coming off two BIG collaborations that reached the Beatport Top 20: 'Let Your Heart Beat Home' with Neev Kennedy and 'Before I Met You' with Ana Criado, so why not keep the ball rolling with another talented leading lady. Stine Grove should be no stranger to fans of Vocal Trance. With a string of hits collaborating with Headstrong, Lange, Ronski Speed, Andy Moor and The Thrillseekers to name but a few, it's no wonder her current release with Ram - 'RAMore' is sitting pretty in the Beatport Trance Top 5. 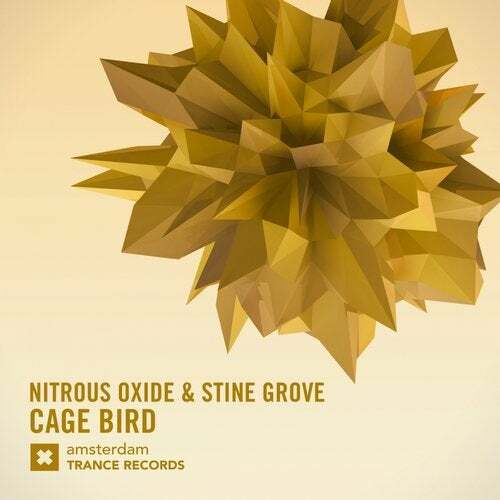 'Cage Bird' has everything you would expect from a joining of such talent. Exquisite vocals, excellent production values with plenty of atmosphere and an uplifting drop that will get EVERYONE moving... We can't get enough!